Usually I love to make simple but tasty meals and to me simple is making a one pot meal. When we think of one pot meal we always think of Biryani. When it comes to vegetarian cooking I love this Brinji Sadam or you can also call it Vegetable Biryani. The one difference between Biryani and Brinji is that coconut milk is used to cook the rice along with ground spices and paste. 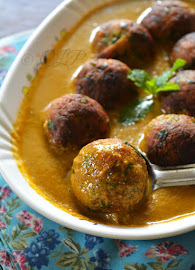 Its filled with flavours and can be accompanied with raita and appalam/ chips. So the other day I made Vegetable Brinji, Onion Raita and Varagu (Kodo millet) pal payasam / milk kheer as it was our dear friend Sangee Vijay's Birthday :-). Sangee is a very good friend and sister to me, she is very passionate about cooking and takes great food pictures which I really admire. A patient and silent listener and good story teller (comes with experience), she is helpful and a caring person to be around with. A bunch of friends planned to do recipes from Salem and this time I was the last minute cook since we had some last minute travel plans. So I made this simple South Indian famous recipes that are not specific to Salem but to entire state. I hope you love this simple spread Sangee and have a blessed year ahead. Now lets move to the recipe. Carrot mor/ Carrot Buttermilk is a staple in our household. This recipe is from Amma, its simple easy and to see visible difference one must have this drink daily. We usually have it after breakfast and between lunch or sometimes along with breakfast. Carrots are great source of Vitamin A, vitamin C, Potassium, helps lower cholesterol and regulate sodium levels in the body. One other key advantage of having carrot juice is clear skin, it has helped clear blemishes, dark spots, dark circles and reduce pimples for Amma and me. I can vouch on this drink but trust me you need to have it daily to see a noticeable difference. Since this moor is light without sugar and a hint of ginger it helps regulate a healthy digestive system since buttermilk aids digestion and carrots are rich in fibre hence promote weight loss. You need to try it in order to notice the difference. What a great way to add carrots into your diet. Lets move on to the recipe. Mangoes are in full bloom, somehow this year I was too hesitant to pick them since its so hot and I had my own fears of having mangoes and still do. 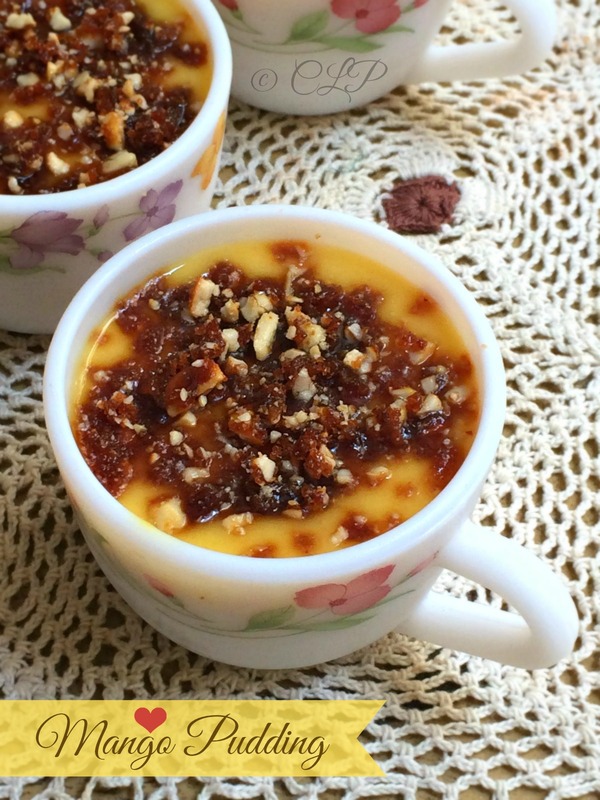 But the other half insisted on getting mangoes and the food blogger calling came all alive, I wanted to try a dessert with mangoes and here goes my version of a quick and simple eggless mango pudding. Within and hour this dessert can be done ahead and enjoyed with a fluff of whipped cream/ ice cream too. Pavakkai / Bitter Gourd / Bitter Melon has mixed reviews, one set of people that I know simply love anything and everything made with pavakkai and another set of people who simply run away if they heard the word pavakkai. One big change that happened in my life after I started to blog was the like towards pavakkai/ bittermelon. The trick lies in how pavakkai is cooked and what can be done to remove the bitterness. Read on I will tell you how. Sathumaavu is a staple in South Indian tamil homes. The whole concept of adding healthy ingredients to the diet was through this health mix powder that is usually had as a porridge or kuzhu for babies or adults. Amma gave me a huge batch of sathumaavu which was lying in the pantry for close to a month untouched. So to make use of it I made this sathumaavu laddus that are healthy yet delicious to enjoy. 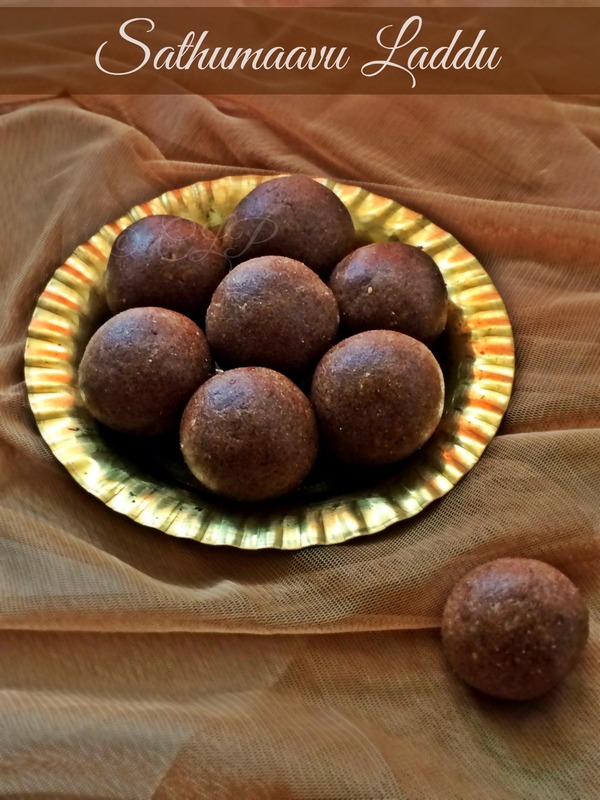 Especially if you have fussy eaters at home you can try to add few of their favorite ingredients like nuts, raisins, coconut and make these laddus. This home made sathumaavu powder was made using finger millet, barley, corn, bajra and red rice. Easter is on Sunday and if you are looking for a fuss free last minute dessert idea, then look no further, this biscuit pudding is a delicious way to end your Easter meal. This dessert is so quick to make, you can make it ahead and serve on the big day. 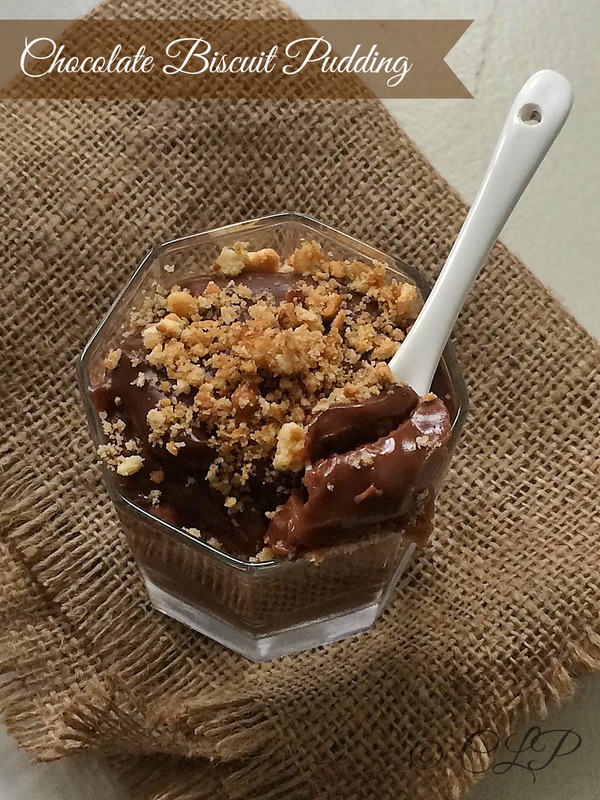 And even if you just have an hour in hand it would be just right to try this last minute dessert. It does not require much time to set so the time you need is just to serve it cold. You can do variations to the recipe by using cut fruit, nuts, caramel sauce, nutella or even whipped cream. The options are wide open. Since you all know I love chocolates and biscuits so this is one heavenly combo to miss. Easter is the coming Sunday, it sure is a day of rejoicing of Our Saviour's resurrection. Every year since the blog happened I am getting to do new recipes based on the celebration dates and this year I was totally unplanned something that is usually rare. Since I am a well organised person who loves to plan months ahead. But this time around I really didn't do much thought, so today I just sat up realising that its Easter on Sunday and wanted to do a different recipe. First I was thinking of a bread and I really didn't have the time and patience, went to the kitchen and checked my pantry. I thought ok let me do hot cross muffins, totally happened that moment. And of course its a twist to hot cross buns. I have posted a whole wheat hot cross buns last year and I still have a memory of how good it tasted. I even packed some for our dear friends on our day out to Central London. This year its just husband and me at home, the weekend looks exciting as we plan to make a trip. A long awaited one just to wind off nothing great. So I wanted to do my baking ritual before we set to do all the packing. 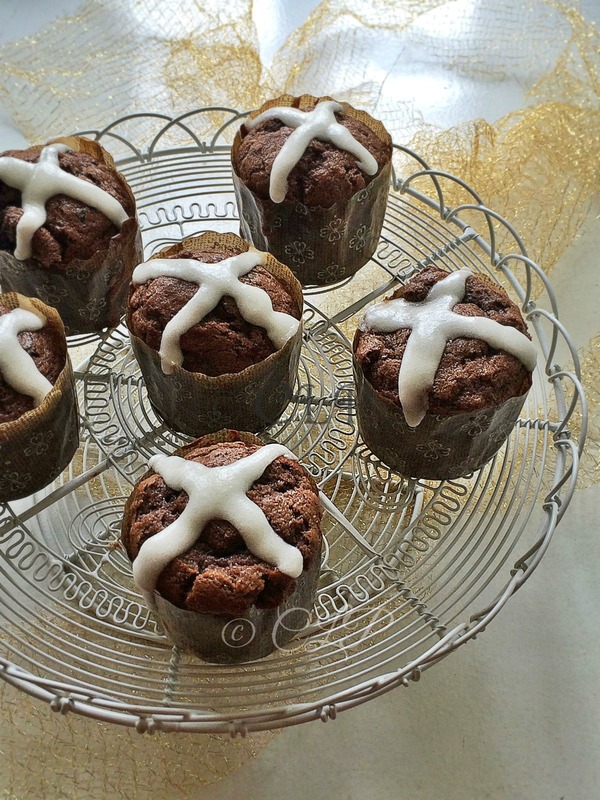 The Chocolate person that I am, I wanted to make a twist to the original hot cross buns by making a spiced chocolate muffin that is light and soft with the traditional icing cross on top. This recipe is an original and my husband had two in one go. They are so delicious and can be enjoyed just right out of the oven. Of course you need to cool them down in order to do the icing cross. Don't we all love to have clear skin, lose weight, maintain a good digestive system and protect ourself from chronic diseases? Well this juice does the magic and is an answer to all these issues. The Chinese found this miracle drink to treat heart disease and it is said that people who consumed this juice for over 3 months first thing in the morning have had drastic improvement in their condition and even recovered from heart issues. The whole craze about this miracle drink has made me what to try it. Although I am not a big fan of drinks such as this with much hesitation I did try it. Without sugar the drink did taste good with the sweetness from apples. The only key is use the vegetables and fruit in equal proportion, carrot + apple + beetroot. My honest opinion I found that my pimples (due to heat) had vanished on day one. My skin became clear and the marks left by the pimples are fading. Do give it a try and see how you like this drink. I am sure the results may vary from person to person and I am on fourth day of this drink and I can see visible difference. 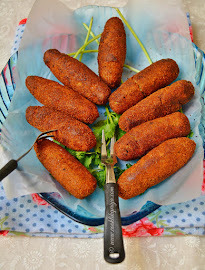 When you have so much left over bread and not wanting to make breadcrumbs then this is the recipe that you must try. A simple quick to do dessert that is great when served warm just out of the oven. 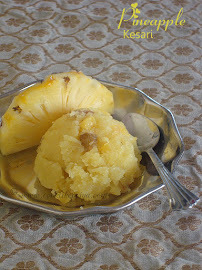 I have used vanilla custard, mixed fruit jam & coconut milk in this recipe. All flavours would sure not match in the mind but the taste is simply awesome. You have to try it to love it. You can skip jam and use nutella or any kind of spread/ even orange marmalade if you love that. Skip raisins and cherries and use nuts instead. Any combination would be just right. I have not used butter at all in this recipe you can call it fatless but technically they will be fat from the jam and the bread. Serve this warm bread custard pudding with a scoop of vanilla ice cream and it will sure take this lovely dessert to heaven. 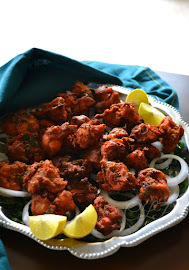 Yay I am back again with one tasty recipe. Its brings me great joy to get back to blog often. Life has been busy but I am keeping up with my promises to post often. Vegetable Kurma is a constant occurrence in our household, its one way that vegetable goes inside which otherwise is difficult. Its simple, easy to make and only with practice does one get the perfect kurma and of course a perfect recipe. The coconut based curry is made with cooked vegetable of your choice and it tastes amazing with chapathi/ idiyappam/ appam. Each person has a different version to this tasty curry, but here goes my version to the age old dish. During summers its ideal for our bodies to take cooling fruits and vegetables to keep us hydrated. With the scorching sun we are left with dehydration and thirst. Although I am someone who does not enjoy salads, the weather just makes me crave for fresh vegetables that a lightly tossed with or without spices. My current favourite has been green gram and especially the sprouted ones which has a light crunch and makes this salad so enjoyable yet so filling too. You can have this light salad as a breakfast or midday snack if you are looking for something light. They say sprouts are full of water content unlike the cooked grams. 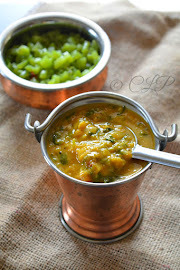 In this recipe I have used a steaming method to keep all the goodness of green gram intact, unlike cooking them in water. You can make this salad with your favourite ingredients likes onions, tomato or even add curd/ dahi to make it more refreshing. 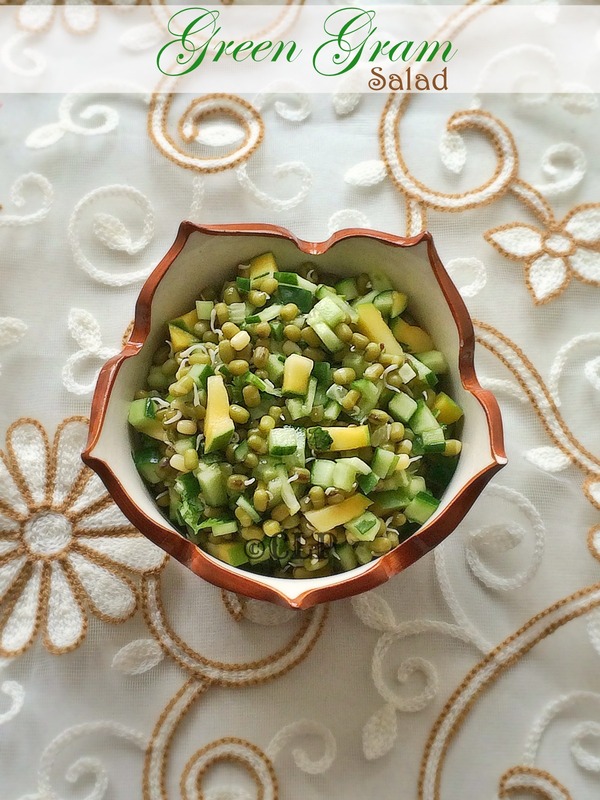 I have made this sprouted green gram salad with cucumber, ripe raw mangoes and freshly chopped coriander with a drizzle or fresh lime juice, salt. These days the hot summer makes me crave for cooling fruits and vegetables. If you have been following me you will know that I love to cook with seasonal produce. 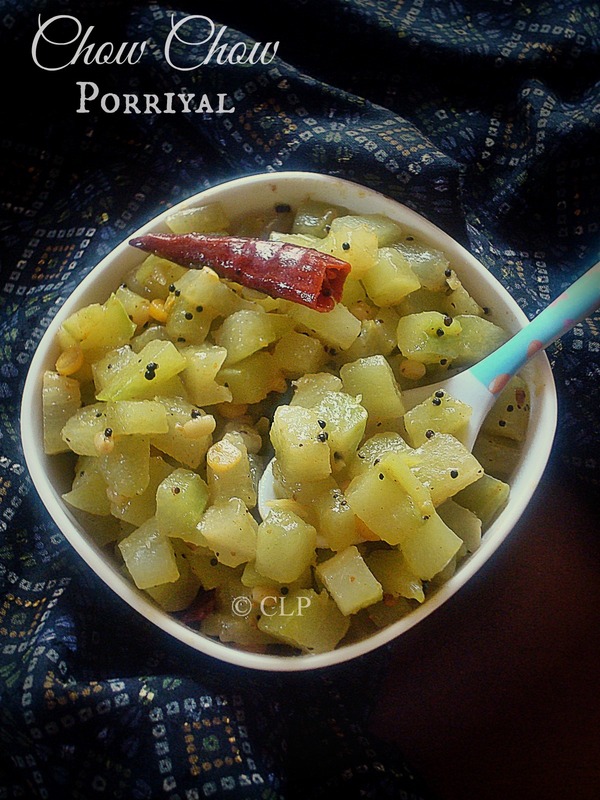 Chow Chow or Chayote squash is a well known and very common vegetable used in the famous South Indian Kootu otherwise called Chow Chow Kootu or Chayote Kootu. I wanted to try a different variation to this lovely vegetable and made a simple stir fry. The fussy husband eat the vegetable and enjoyed it. The succulent pieces of this vegetable are easy to eat without strong flavours and their cooling properties along with their water content help the body to cool down. Their texture are like cooked cucumber and are easy too cook. Try them and you will enjoy them a lot. Its summer time & boy its so hot around in the place we live. With the warm weather I feel thirsty always. To make things better I make fresh fruit juices, lassis, cold desserts and so on. For a change I wanted to make a coolant drink with green tea, since it has loads of benefits. Since the weather does not call for warm green tea I wanted to make a cold drink with it. 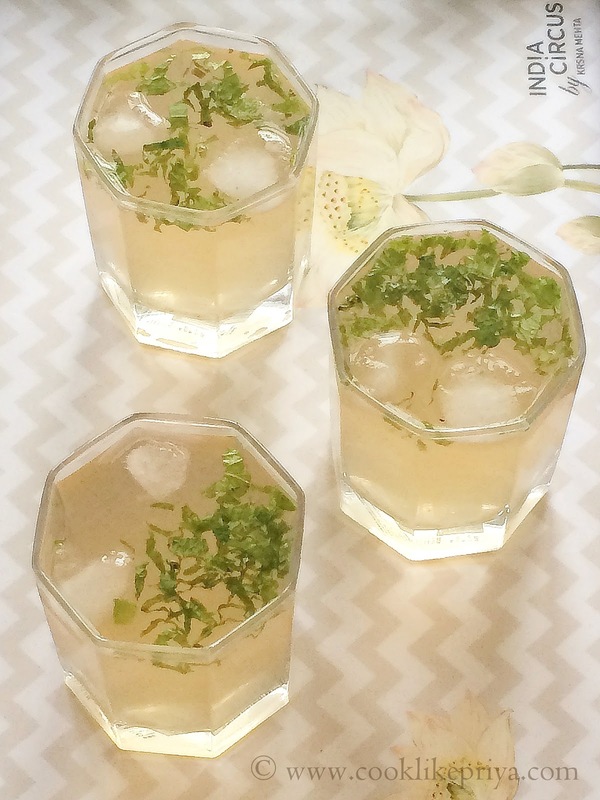 This is total easy light and refreshing recipe that is so simple to make. Just a couple of ingredients and the drink is done. Don't we all love such recipes? The colour is so pleasing and the taste is so good and you will have people guessing what the drink is. And if you have people at home who don't like green tea try making this for them, they will sure love it. The best way to cure a weekend blue is make a chocolate cake. Trust me it works, well it did work for me today. Off late I have been super lazy and on a guilt trip that I am not able to post recipes as often as I would love to in this little space. So today I just wanted to sprinkle some cheer into my life by making a chocolate that is super easy. When I say easy I am sure you guessed it right, well here goes the eggless butterless chocolate cake that is super moist crumbly and dense. Just one fat piece and you are sure to go to chocolate heaven. No exaggeration this is definitely a cake for the chocoholic as it has 1/2 cup of cocoa powder. Adding to the laziness today I wanted to try my hand with my new gadget which I got as a gift from my husband for my birthday and put it to good use by clicking these food pics with my mobile camera. Can you believe it? really if you are someone who thought that fancy pictures require an awesome camera and definitely a dslr you are sure to be surprised if I say- I personally know a handful of amazing food bloggers who click food pictures out of their hand phones. One great way to improve your mobile photography is instagram. They say beauty is in the eye of the beholder, and when you have a passion for something it does not matter if you have the perfect resources you just will find a way to shine even with the lack of amazing resources. Do drop in your comments and thoughts of these pictures below :-) would definitely love to hear from you. Also did you notice the new look to my blog :-) this seagreen happens to be my favourite colour. 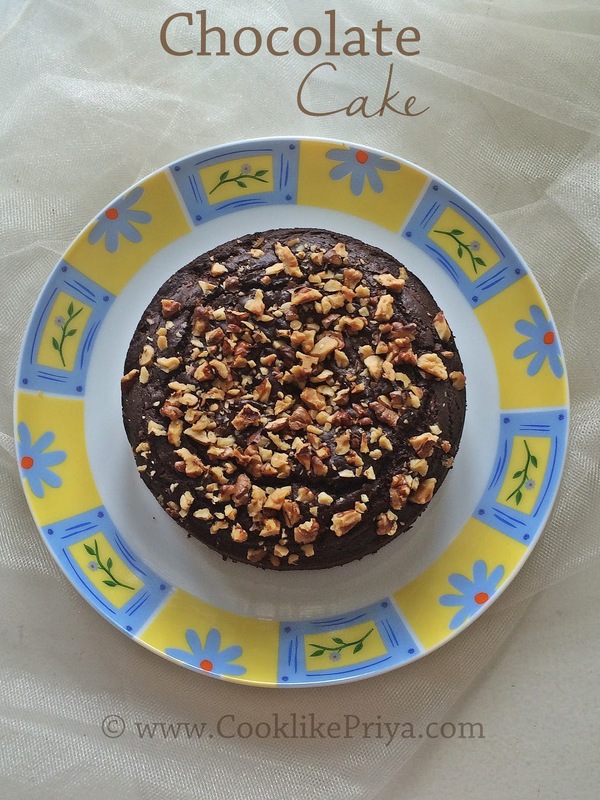 Moving on to this Egg-free Butter-free chocolate cake with walnuts. The cake batter is very quick to do and the baking time is what makes the clock ticking. Its dense moist and filled with chocolate flavour. Adding walnuts is totally optional, but gives a great crunch & flavour to the cake. Please read the notes before going ahead with the recipe.